Pet adoption is always a big decision, especially when you are looking for that perfect-fit pet that will nuzzle its way right into your life. If you’re looking for a cat with an abundance of character and a hugely unique look, the Scottish Fold might just be the cat for you. The Scottish Fold is known for its ears that are generally, as its name implies, folded. While not all Scottish Folds inherit the tell-tale ears, if you are adopting kittens you should take into consideration that their ears don’t fold until they are around three-weeks old. They are otherwise recognizable by their rounded heads and whisker pads, short neck, large eyes, and medium to short length coats. All Scottish Folds can trace their roots back to a Scottish barn cat in the 1960s named Susie. The cat, whose ears were folded purely by a roll of the genetic dice, has been passing her genetic legacy down ever since. It’s a legacy that’s earned the Scottish Fold much recognition in cat shows and tournaments. There are many things to take into consideration when deciding to adopt a cat. Temperament, life span, intelligence, grooming and playfulness are just a few of the factors you should think about. Don’t let the Scottish Fold’s unique appearance trick you into thinking it’s a diva, though. On the contrary, they are known for being wonderful family cats with loving temperaments and moderate to high levels of intelligence. Further, while many cats like to “talk” just to remind everyone that they are there, Scottish Folds only speak up when necessary. They are also noted for their devotion and occasional bouncy playfulness. Aside from a weekly brushing, the occasional bath and a proper diet, the only thing this cat needs is a loving home. When the time comes to actually go through with the adoption, be sure to get a copy of all the paperwork the breeders have on your cat. Find out their history and whether or not they have all of their shots. When bringing the cat home, make the process as gentle as possible since the cat will likely be unfamiliar with the new environment. Finally, make sure the cat can’t get outside as Scottish Folds are definitely indoor animals. With a little research and a lot of love, a Scottish Fold kitten could easily be the right cat for you. 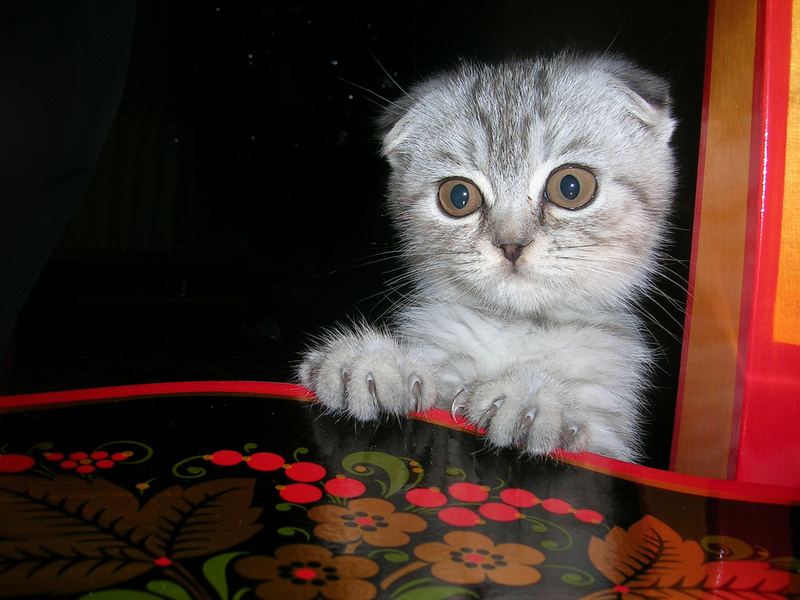 Grab the latest news and articles about Scottish Fold cats!